20% non-examined fieldwork investigation, assessed by your teacher. Are you keen to understand how the natural world works? Does the relationship between people and the places they live fascinate you? Do you have a genuine interest in global issues and the complex web of decisions surrounding challenges like hazard management, energy production, environmental responsibility and the plight of refugees? A Level Geography combines a range of human and physical topics to give you a balanced outlook on our world and the issues that affect it. The dynamic relationships between landscapes, environments, cultures and societies are explored at local, regional, national and global levels. As a geographer you will come to understand that relationships between people and places are never straightforward; they are part of a complex web of interrelationships and the people within that web have to make decisions about matters that can range from the trivial to the fundamentally important. Not only do we have to be aware of our own roles as decision makers and influencers of events; we also have to understand the attitudes and values of other people, groups and factors that influence their decisions. Fieldwork is an integral part of the syllabus, allowing you to apply the theory you learn in class in practical situations. This will involve a combination of local and residential field trips. Currently we are running a trip to Sicily but we are constantly exploring new possibilities! 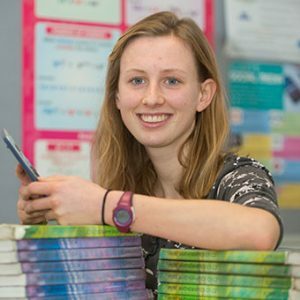 Read more about Lauren and some of our other students.